Papadopoulos is the young aide whose 2016 barroom conversation with an Australian diplomat launched the U.S. investigation into Russian interference in the presidential election. A federal judge has denied George Papadopoulos' efforts to stay — or put a hold on — his date for going to jail. Papadopoulos, who served as a foreign policy adviser to President Donald Trump's 2016 campaign, pleaded guilty to lying to federal investigators last year and was sentenced in September to 14 days in jail. Since then he has been aggressively challenging special counsel Robert Mueller's investigation on Twitter, changed attorneys and filed what the court called "11th hour" motions to stay out of jail. Papadopoulos' attorneys asked the judge in Washington, D.C., to delay his reporting date to jail as there are two active appeals snaking through the court system against Mueller's authority and his appointment. But Judge Randolph Moss wrote that Papadopoulos "has failed to demonstrate that the D.C. Circuit is likely to conclude that the appointment of the Special Counsel was unlawful—and, indeed, he has failed even to show that the appeal raises a 'close question' that “very well could be decided” against the Special Counsel." 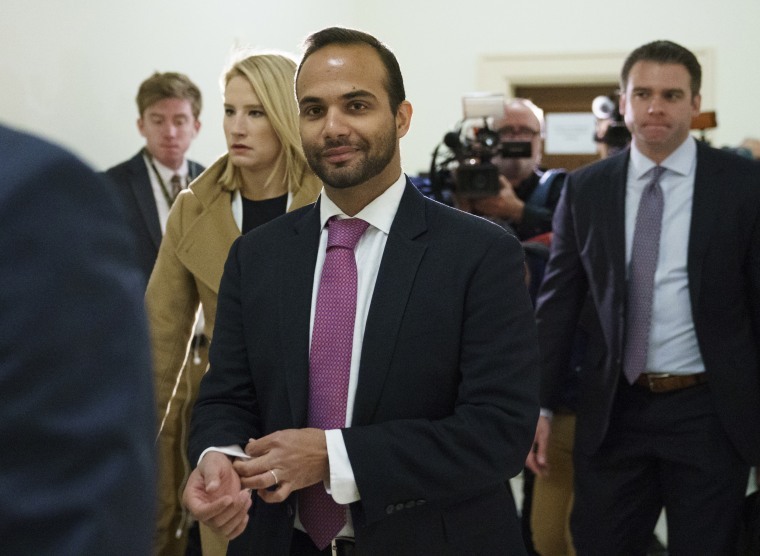 Moss denied both motions Sunday morning and Papadopoulos will have to turn himself into jail Monday. Prosecutors say Papadopoulos was solicited during the campaign by a professor with ties to Russian intelligence, Joseph Mifsud, who told the Trump adviser that the Russians possessed incriminating information about Hillary Clinton in the form of "thousands of emails" — before it was widely and publicly known that Russia had stolen Democratic emails. Papadopoulos initially lied to the FBI about the timing of his interactions with the professor, suggesting they happened before he started working for Trump, while actually it was afterward. Prosecutors say Mifsud arranged a meeting in a London cafe between Papadopoulos and a young woman he falsely described as Russian President Vladimir Putin's niece. Papadopoulos related the talk of Democratic emails to the Australian diplomat during what The New York Times described as a night of heavy drinking at an upscale London bar in May 2016. The diplomat reported the conversation to his American counterparts, who were seeing other evidence that Russia was making a play to interfere in the 2016 election. Thus began the FBI's counterintelligence investigation into Russia's election interference operation, American officials have confirmed — a probe that was taken over by Mueller in May 2017. Papadopoulos has never publicly named those within the Trump campaign he told about the offer of emails from the professor, but he has said he was in regular touch with campaign chairman Paul Manafort, campaign manager Corey Lewandowski and other top campaign officials. 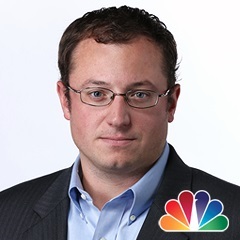 Tom Winter is a producer and reporter for the NBC News Investigative Unit based in New York, covering crime, courts, terrorism, and financial fraud on the East Coast.